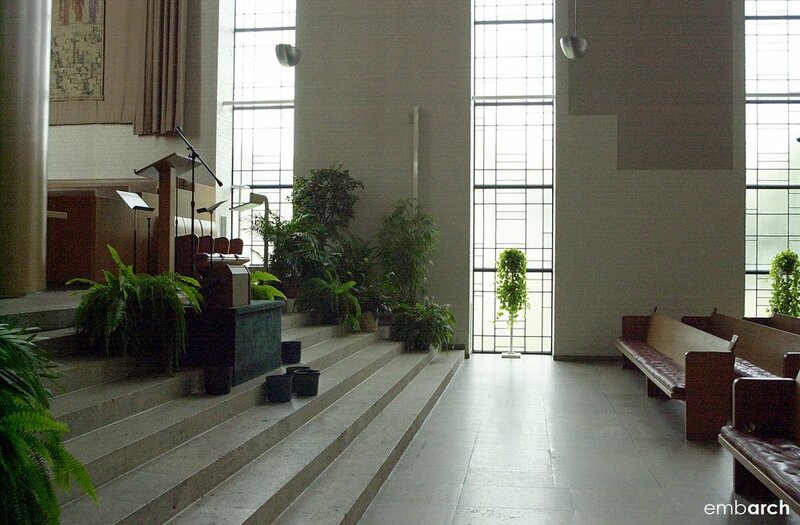 The rigid rectilinearity of this church stands in stark contrast to most religious architecture. 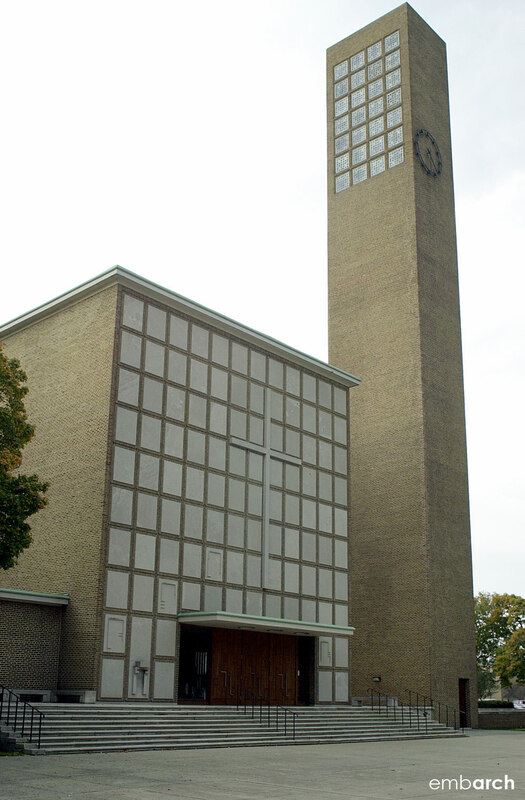 The First Christian Church is reminiscent of early modern factory architecture in several ways. Building elements (the sanctuary, a classroom wing and, in particular, the tower) are positioned in such a way as to create an industrial complex silhouette. Cladding is of simple tan brick. Gray limestone panels attached in a grid pattern impart monumentality to the sanctuary façade, yet contribute to the building’s industrial look when seen from afar. Ribbon windows appear in both vertical and horizontal orientations throughout the building, and many of the windows and doors have steel sash construction.